Satna is a dynamic district for many reasons. Despite being a largely agricultural district in Madhya Pradesh, with a significant majority of the population residing in rural areas, it is also the heart of the cement industry in India with every major cement manufacturer having their plants here. Satna is also home to a large population of tribal and lower-caste groups that, historically, have been oppressed and neglected for many generations. As I look at the needs of the district and the immensity of what must be done in order to bring about the much-needed change, I always come back to this one question – change for whom? Within two weeks of being here, I have had the opportunity to interact with multiple stakeholders in the development process – both from the beneficiary’s and contributor’s side. They range from industry leaders, corporate social responsibility managers and journalists to government officials like district collectors, block development officers, sarpanchs, etc. 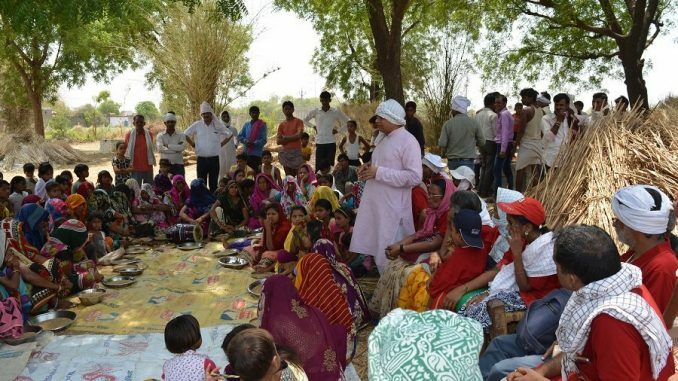 People like farmers, those belonging to scheduled castes and tribes, government health workers, school teachers and people from economically-weaker sections who live in slums also play a part in the development of this area. Development is much broader than economic growth. A large part of development entails just the better usage and allocation of the income and resources that are already present. But if it is to continue after a certain level of development, this must be met by income growth. Income growth is a common characteristic which we can see when an area and a group of people experience development. These are common lessons that you will find in most textbooks. 1. When it comes to what we work for as development professionals, there is a provisional gap in the ‘demand and supply’ and what the needs and wants of the community are. 2. The impact of the work or policies of development workers that actually reaches the people at the ground level is very low. 3. Most importantly, however, there is a conflict of interests between various stakeholders. Can the process of development uphold the interest of every stakeholder? Are some stakeholders more important than others? Who should hold the decision-making power? What I have truly learnt through coming here is this: development comes from within. No one can uphold your personal self-interests better than you. So, if we must reach the grassroot level of improving the lives of every individual, we must empower them to uphold their own rights and interests. Improving the overall welfare of a country doesn’t necessarily translate into uplifting and improving the standards of living of a specific community. Neither does an improvement in the standard of living of a community always mean that the quality of an individual’s life has improved. If we only look at development at a macro level – with the notion that there is only a ‘provider’ and a ‘receiver’ in the process (rather than mutual participation) – then we are only seeing half of the picture. Development professionals have the immensely-difficult job of being able to look at a crowd as both a multitude and as many unique individuals. For every stakeholder in the development sector, not only are we tasked with the responsibility of governing at a macro level – we also empower people at a micro-level, so that they can truly expand their own capabilities, freedom and make decisions for themselves. Agriculture and manufacturing are the two largest sectors in the country, employing over 60% of the country’s workforce. 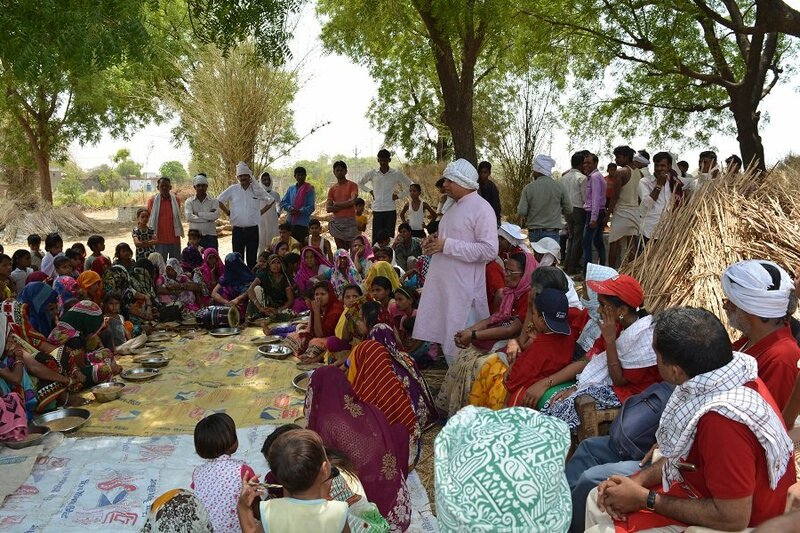 By meeting many tribal farmers and factory workers in Satna, I have realised that both groups must be developed. The lives of people in both these groups have to be improved. Both groups need to be empowered. Development doesn’t discriminate. Everyone has a right to improve the quality of their life, as long as it does not hamper the lives of others through the ‘externalities’ of their decisions. The day we are able to regulate ‘externalities’ and empower individuals, our job in the development sector will be complete. Empowerment is not just about instilling a sense of belief and confidence in a person. It is also about providing everything that they need to survive and thrive. Providing education, healthcare, law and order, security, employment and every other public good that we see are simply methods of empowering people. Empowering people and managing ‘externalities’, however, is no guarantee of development for every individual until they realise that development must come from within. David Menezes is a student of PGP in Development Leadership at ISDM.